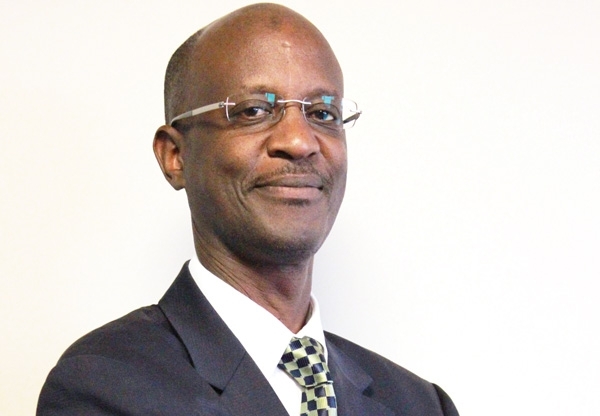 B2Gold Namibia’s CSR department recently sponsored the Namibia Scientific Society (NWG) with N$500,000, to assist the organisation to purchase the Namibiana Book Collection, with the total value of the collection pegged at N$2.5 million. 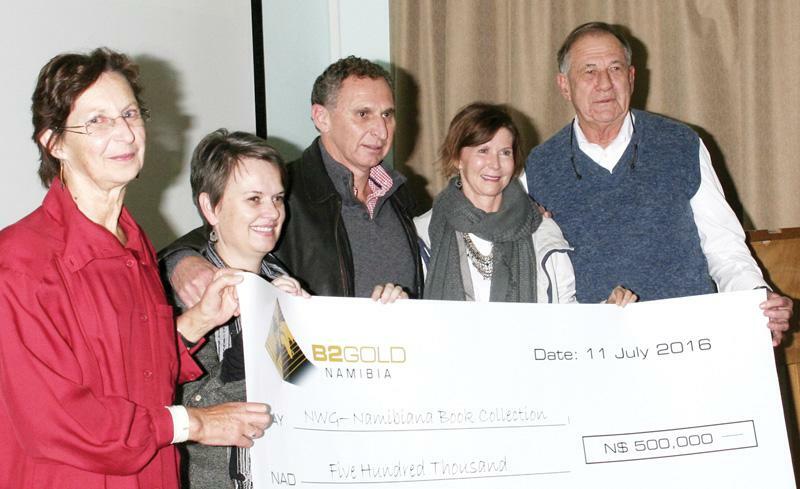 The sponsorship cheque was officially handed over to the NWG by Mark Dawe, Managing Director, B2Gold Namibia at an event held at the NWG premises. Theo Schoeman, Master of Ceremonies and NWG Board Member applauded the support of B2Gold and other recent financial supporters of the organization who were also honoured and acknowledged at the function. The Scientific society is an independent custodian of national and cultural Namibian heritage – managing the largest private collection of books, magazines, theses, photos, slides and other documents in a reference library and archive that is accessible to the Namibian and international community alike. 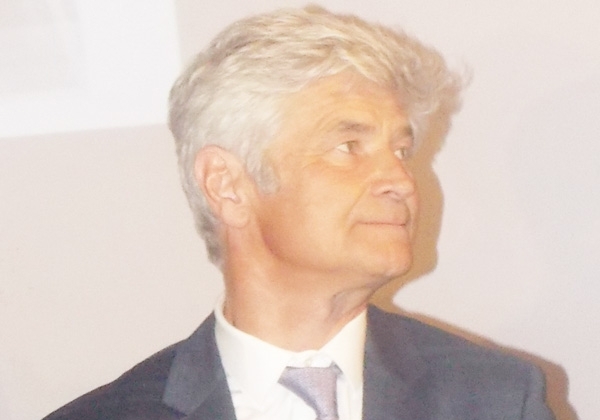 According to the society, to grow this archive, sponsorship was sought to purchase a private collection of more than 10,000 Namibia-related titles of which 600 are older than 100 years. Many monographs are not available elsewhere in Namibia, South Africa or European libraries. The purchase will prevent these priceless historic documents from leaving the country. Meanwhile, B2Gold Namibia has a well-established Corporate Social Responsibility (CSR) programme that supports community projects within the four focal areas of Education, Health, Livelihoods and Environmental Conservation.